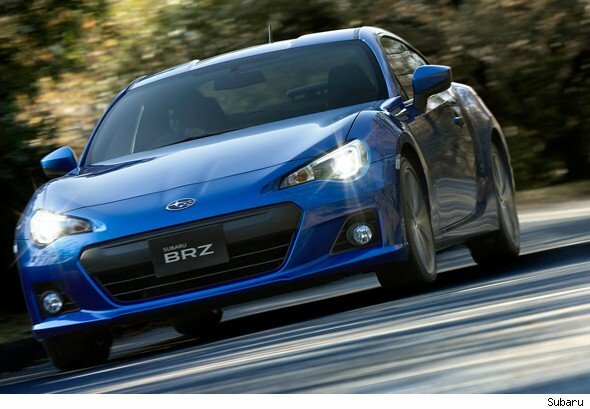 The Subaru BRZ is coming to our shores very soon. It, alongside its sister car the Toyota GT 86, promises light-weight, low-power thrills and lots of smiles – something that's been missing (sort of) in the ongoing horsepower war. Subaru has announced the spec for the new model, well... it's announced the spec for the top of the line model and a track special. It seems the BRZ has been built with ricers in mind.The top spec model will come with 17-inch alloy wheels, a torque-sensing LSD, front, side, curtain and knee airbags, MP3 connectivity, dual-zone climate control and LED daytime running lights. For drivers with more brass than talent Subaru is also fitting Vehicle Dynamic Control to stop the car from getting too wayward if you've got the traction control set to 'on' and your brain set to 'off'. Later in the year we'll see a lower spec model and a third car aimed at track drivers and tuners. The third BRZ model will be idea for people who 1) Enjoy lowering their cars to below speed-bump levels, popping lairy paintjobs and 'phat' exhausts on their cars or 2) People with beards obsessed on getting their car around a track as quickly as possible while muttering about how they could have been a contender if they'd had the right parents. We'll find out more at the Geneva Motor Show in March.